Freddie (Gábor Alfréd Fehérvári) was born in Győr, Hungary, on 8 April 1990. His dedication to music appeared quite early, as he was translating lyrics, writing poems both in English and Hungarian, but basketball played the leading role in his life. When he had to give up his promising sports career because of a serious injury, he turned to music for comfort and took up playing the guitar. He's better known from the Hungarian edition of the famous talent show, Rising Star, where he finished 4th in the final. At the show he caught the audience and the jury with his renditions of James Arthur, John Newman, Bruno Mars, Kings of Leon and Ocho Macho. After the show, on 14 May 2015 he released his debut single 'Mary Joe', which became a hit on Petőfi Radio, staying for 3 weeks on top of the TOP 40 chart. The song has been originally written by Hungarian representative at Eurovision 2014 András Kállay-Saunders for himself, but when he got acquainted with unique voice of Gábor Alfréd he offered it to him. "Rising star was a great start for me, it allowed me to sing in front of the big audience, but it also gave me a big fame as already during the show I've got proposal from András, whom I never met before, to record his song, and even though we have never met or discussed music, it was a perfect fit". 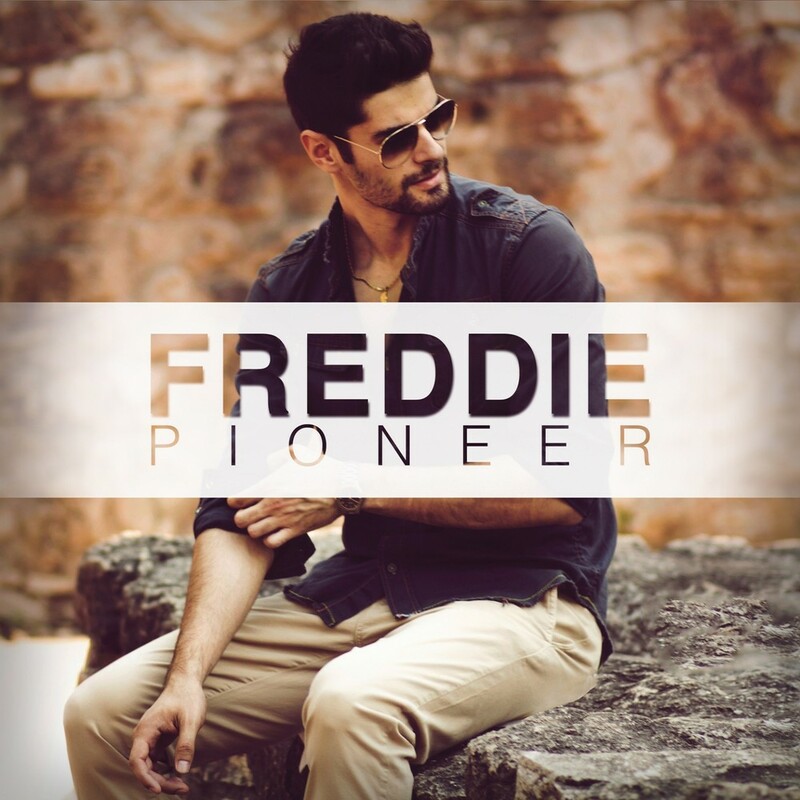 In November singer has relaunched himself under stage name Freddie and after bluesy debut, released lyrical piece Neked nem kell. Freddie's favourite music genres are rock/indie/r&b, favourite song of Freddie is Paolo Nutini - Iron sky, while his favourite performers are John Mayer, Dave Matthews Band, and Igor Presnyakov. His favourite actors are Jack Nicholson, Edward Norton, Leonardo DiCaprio and favourite movie - Great Gatsby. His favourite colours are grey and beige, favourite food - steak and favourite drink - Irish whiskey. "I would like to reach people, to touch them with my songs, providing a small shelter to the viewers. I would like my songs to be sticking plaster on a psychological injuries, I want my music to be a cure", says Freddie. 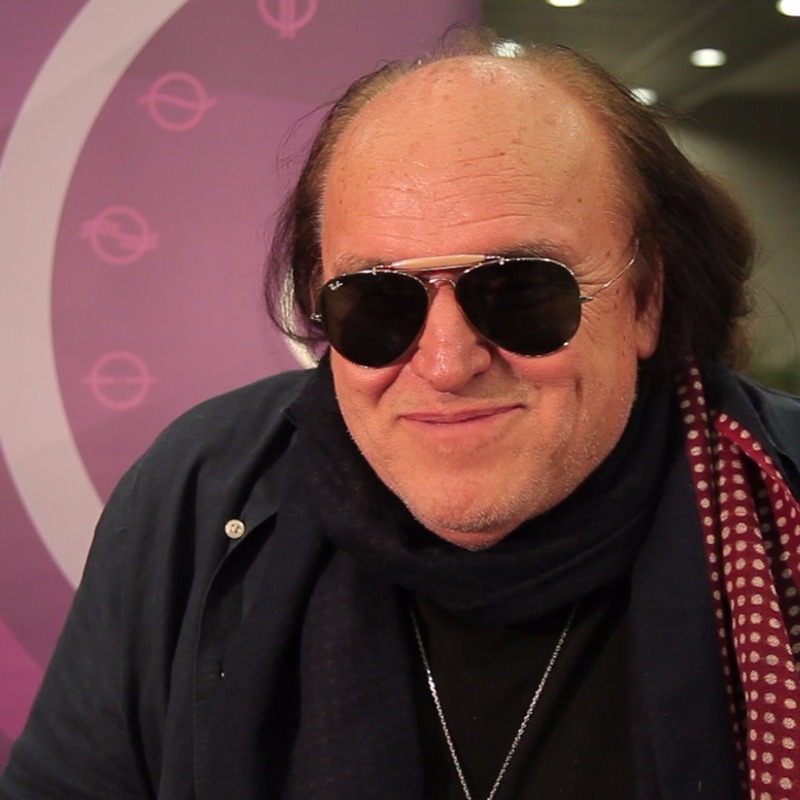 His Eurovision entry Pioneer was written by Zé Szabó on the lyrics of Borbála Csarnai, who was awarded for best lyrics of A Dal 2016 competition. "My song is about our inner struggles we have to face day by day and the fact that all the answers lie deep inside of us. A true pioneer faces problems and takes full responsibility for his decisions. Personally, I love how the song unfolds to a massive peak and then comes to that intimate closing which actually feels like a sigh of release. I do not think there is a high chance of other entries using any kind of whistle. I guess ours is quite a hook, at least it is in our home country and I hope it will work in front of an international audience as well. I really cannot imagine any bigger honour than representing my home country. I am shivering in the best sense and I can hardly wait for getting on stage. I am very ambitious and motivated to learn from other countries, it is an excellent opportunity for me to improve. I am really looking forward to meeting you all!" For the fifth year, Hungary was using national contest A DAL to select its representative for the Eurovision Song Contest. Since A DAL ("The Song") has been introduced as the Hungarian national selection method for the Eurovision Song Contest in 2012, it has proved to be not only an extraordinarily successful TV show but also an important new platform to introduce artists, bands and composers to a larger and international audience. Apart from selecting the entry for the Eurovision Song Contest, the most important aim of A Dal is to encourage artists to create new songs of a high standard and to present these songs to the public. The rules for the preselection have been published on 19 October. 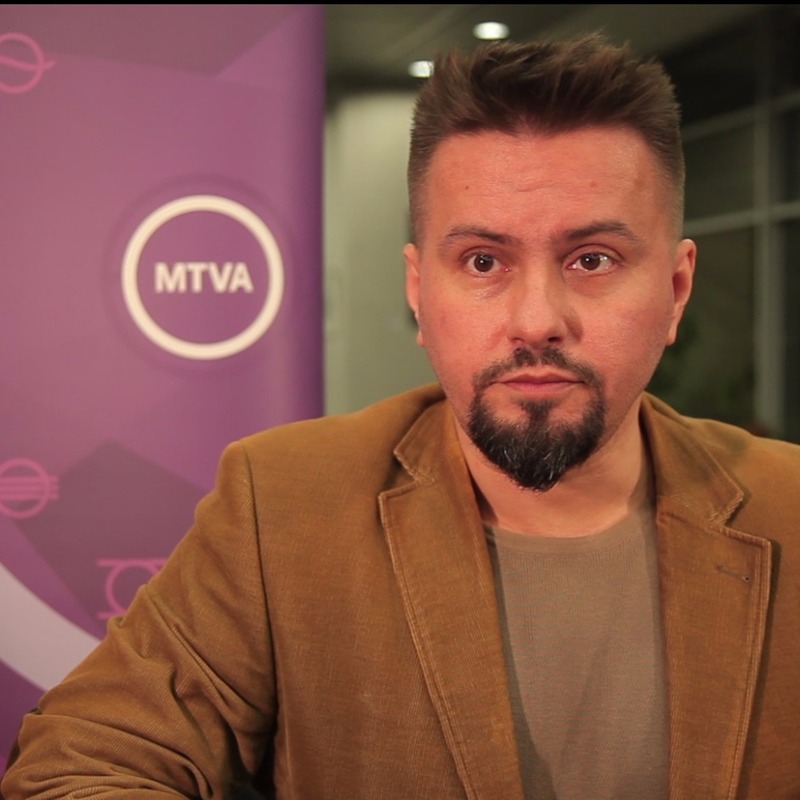 A DAL 2016 as well as all 3 Eurovision shows will be broadcasted live on Duna TV, the national main channel of the public media MTVA since 15 March 2015 and satellite Duna World. The submissions had to be sent in until 25 November 2015, midnight. In order to determine the songs that will compete in the televised national semi-finals, a pre-jury made a pre-selection of the songs sent in. Entries in A DAL (lyrics and music) must not have been commercially released and performed in public, and must not have appeared on any media platform (TV, radio, online) before 1 September 2015. The maximum duration of each song is 3 minutes. Only such artists' submissions are accepted who have previously released a music album or had national radio airplay and/or television appearances, and who have a valid contract with a record company and/or with a professional management. All artists competing on stage must be aged at least 16 on the day of the first semi-final of the Eurovision Song Contest in Stockholm, i.e. 10 May 2016. Performers of the songs have to be Hungarian citizens or have to speak Hungarian as their native language. Composers who are foreign citizens and whose native language is not Hungarian may only enter the contest if their song is recorded with an artist who complies with the regulations. An interesting new addition to the rule, states that artists against whom criminal procedures are initiated or already conducted before the semi-finals in Stockholm, or whose behaviour proved to cause a public scandal may be disqualified in any phase of the contest. The applicants acknowledge and agree that the Hungarian National Final (A DAL) is a competition of songs and not of performers. Therefore DUNA has the right to decide upon the performer of a song, if necessary. Songs submitted to A DAL 2016 should preferably be written in Hungarian language. However, the contestants may enter their songs in English and/or in any language of officially recognised national and ethnic minorities living in Hungary as well but then the Hungarian translation of the lyrics has to be provided in any case. DUNA has the right to decide upon the language in which the winning song of A DAL 2016 is submitted for the Eurovision Song Contest in Stockholm. 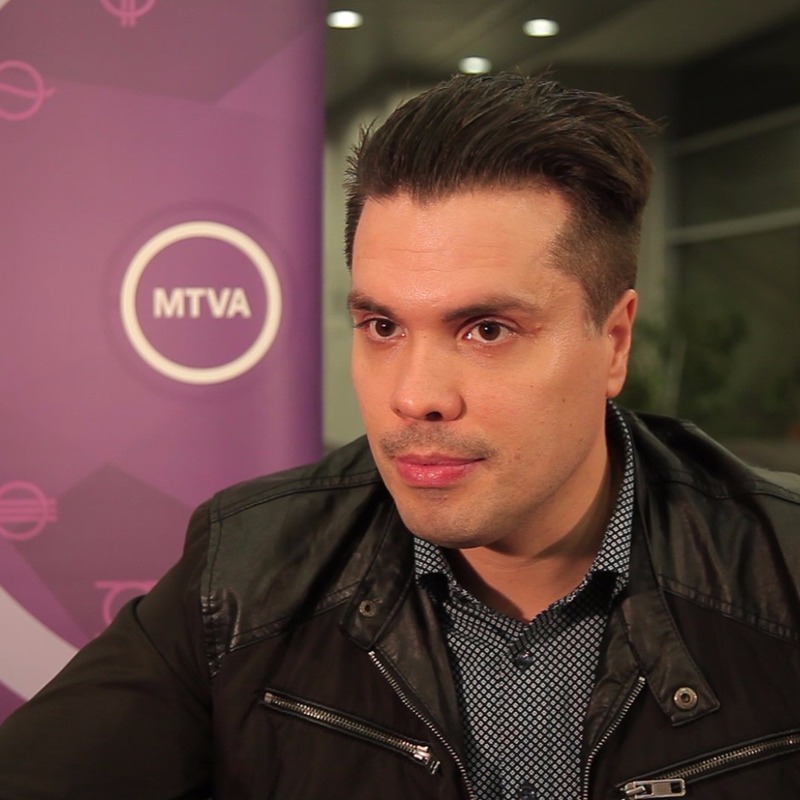 The artists who made it into the televised shows of A DAL 2016 also undertook to produce an acoustic version of their song in a studio provided by the broadcasting organization and take part in the online Acoustic Song Contest. As in previous years, the online audience in a two-round vote was deciding which of the Acoustic entries will win the main prize. The acoustic versions were presented in the form of audio and video recordings made ​​in the studio of Radio 8. The songs have aired on Petőfi Rádió, and the videos became available on the 2016 A Dal official website. The vote for the acoustic versions took place for the week after the live TV performances: First week: January 23 to 29, Second week: January 30 to February 5, Third week: February 6 to 12). One vote per day per IP was accepted. Six best from each round qualified to the final of Acoustic Song Contest. 18 entry voting took place on 13-21 February. Winning artist got the separate 52-minute acoustic concert on Petőfi Rádió. Vote in the Acoustic Song Contest was open here. The winner of A DAL 2016, Hungary's representative at the Eurovision Song Contest and their team undertake to dedicate exclusive attention to the participation in the contest in the time period between the national final and the grand final of the 2016 Eurovision Song Contest and will do their best in order to reach the highest possible result, including the compliance with all the deadlines set by DUNA and the EBU and the compulsory participation in promotional events related to the Eurovision Song Contest. Furthermore, the winning artist of A DAL 2016 undertakes to perform without fee at up to five events organised or promoted by MTVA until 31 December 2016. A total of 372 songs were submitted for the competition and a 10 member jury shortlisted the top 30 to compete in the televized preselection. Entries and details of the competition were presented on 15 December 2015 at the press-conference in cultural center A38 in Budapest. Full entries have been released on 5 January and can be heard on A DAL website, and some of the songs are available on Youtube. A DAL 2016 were made of several shows broadcasted live from MTVA Studio 1 in Budapest hosted by Csilla Tatár and Levente Harsányi at 19:30 CET on Saturdays. On 30 December A DAL introduction show was broadcasted as part of "Én vagyok itt" program, which can be seen here. András Kállay-Saunders represented Hungary at Eurovision 2014. Several entrants have already competed in A DAL selections in the past: Szilvia Agárdi (2013), Bálint Gájer (2014-15), Laci Gáspár (2013), Group'n'Swing (2014), Ív (2015), Karmapolis (2015) and Böbe Szécsi (2014-15), Fatima Mohamed (2013), Nika (2012), Odett (2013), Gergő	Oláh (2015), Passed (2015), Pély Barna (B the First) (2012-13), Reni Tolvai (2012). Several composers had Eurovision Song Contest entries before: Viktor Rakonczai (1997, 2008, 2011), Szabolcs Harmath (2005), Zé Szabó (2009), Begi Lotfi (2012), András Kállay-Saunders (2014). 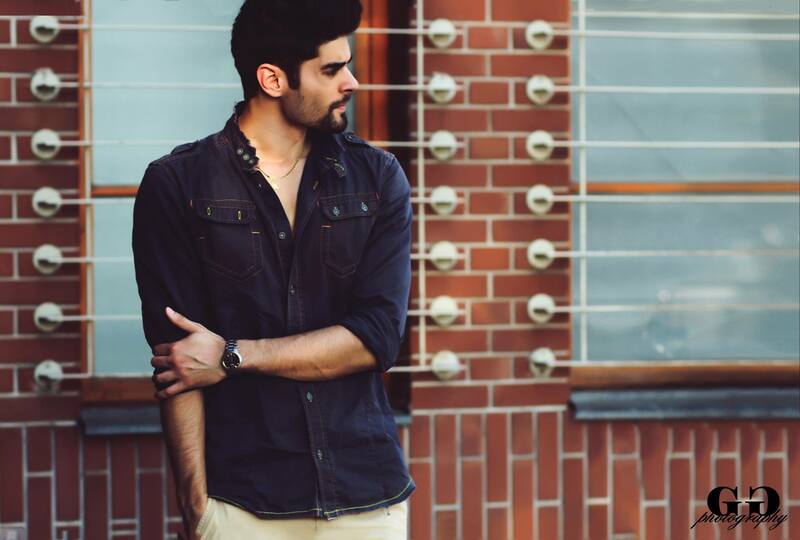 On December 29 it was confirmed that song Misztrál - Reggeli Reggae (Miklós Heiczinger - Gergely András Nacsinák) was disqualified for the early release (as it was performed by the band in Summer concerts), replaced by Viki Singh - Katonák. Three heats (or quaterfinals), were held on 23 January, 30 January and 6 February 2015, consisting of 10 songs each. The qualifying entries were determined by two rounds of voting; in the first round, the top 5 entries were determined by the combination of the votes from each of 4 judges and an average score from a public voting via SMS to the number +36(20,30,70)4422-999, online or mobile voting app (Android, iOS) while the remaining entries faced new round of vote to determine one additional qualifier. The semi-finals on 13 and 20 February 2015 each featured nine competing songs each with 4 advancing to the final as the result of first voting round and 1 more through the second. The final was set for 27 February 2015. Interval acts for the shows were: Viktor Király, Ocho Macho ft. Deniz, ByeAlex in quaterfinals, Második Műszak ft. Misi Mező, Zséda and Ferenc Demjén in semifinals, Norwegian Eurovision 2009 winner Alexander Rybak and 2015 Hungarian Eurovision representative Boggie in final. The first heat of A Dal 2016 brought a record number of 71.000 unique visitors to the official A Dal 2016 homepage where viewers are able to vote free of charge and access exclusive content. The first heat of A Dal 2016 was also the most watched TV programme in its timeslot with 757.000 viewers (based on data provided by Nielsen Audience Research). 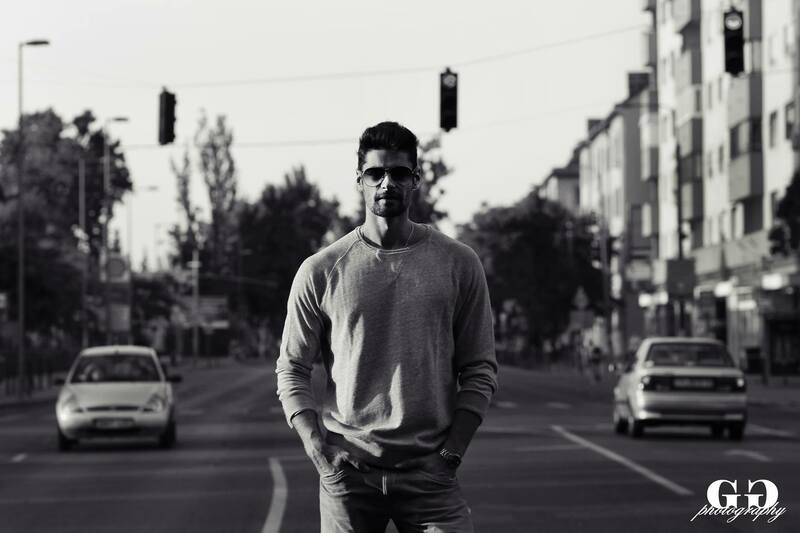 Every Monday from 10:30 (GMT+1) an artist from the previous heat was appearing online for a "Star Chat" on the MR2 – Petőfi Rádió Facebook profile. Viewers and fans could send questions to the artist via Facebook comments. Apart from the ticket to Stockholm, and acoustic competition winner there were two more awards - the title of "Best Newcomer of A Dal" was given out by the on-screen jury and "Best Lyrics" was awarded by combining the votes of the jury and the online votes of the viewers. 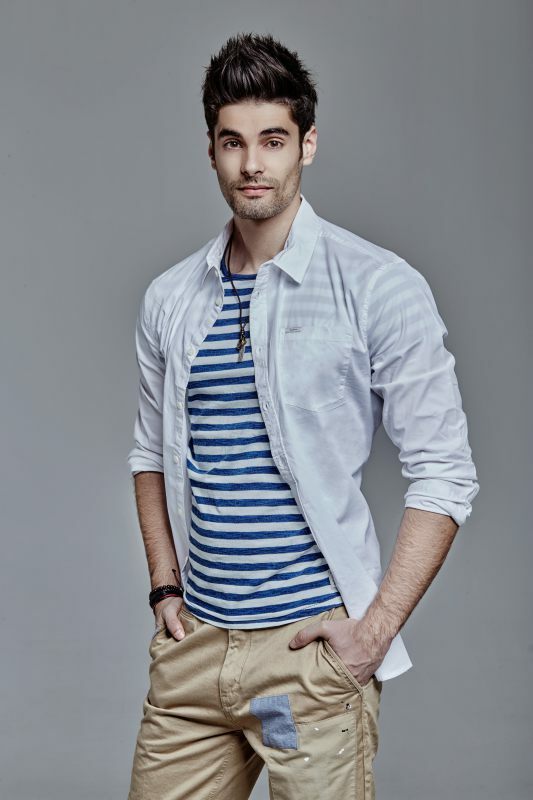 Pierrot remained the only member of jury from previous years with three new members joining him, while fifth jury will remained the audience which this time was also able to vote online in addition to free app and traditional SMS vote. • Pierrot has been a successful figure of the Hungarian pop music scene as a producer, creative videogame producer, songwriter and a performer. He has produced dozens of gold and platinum records, theatrical and motion picture scores. He was the editor of music of Danubius Radio (launched in 1998) and has also produced a programme on the history of instruments for the Hungarian public service media. Apart from his musical career he also works in video game development since 1998. He established his production company Private Moon Productions in 1994 and his own label Private Moon Records in 2000. Pierrot was known for his honest and outspoken opinions in A Dal 2015 and he will resume his role as a jury member. • Zséda is one of the most successful female pop singers in Hungary. She has won multiple awards for her work (including the Fonogram, eMeRTon and Artisjus prizes). Besides 16 top listed hits she has 3 gold and 3 platinum records under her belt. She is proficient in multiple genres, be it pop, R&B, swing or even classical music and has sung many film theme songs. She also actively takes part in social initiatives and charity campaigns. She has participated in campaigns against breast cancer and against domestic violence. She also supports young talents as a mentor in the National Programme for Young Talents. • Károly Frenreisz is an outstanding Hungarian musician and composer. He was member of the famous band Metro and a founding member of LGT. He is also a founding member of the band Skorpió, which is still active today. After an education in classical music and jazz he found his calling in progressive rock. He was involved in the creation of 23 major records as a composer and a musician both in Hungary and abroad. He also composed music for film and has sold over two and a half million records. He was chosen Bass Guitarist of the Year multiple times and he has been awarded the civil class Cross of Merit of the Republic of Hungary and the Honorary Citizen of Budapest title. • Miklós Both has been awarded the Fonogram prize twice and the Budai Prize as a performing artist and a composer despite his young age of 34. He has been awarded the “Öröm a zene” ("Music is happiness") prize in 2015 as the musician of the year. He is a founding member of the bands Napra and Both Miklós Folkside. He was a musical director of numerous Hungarian and international workshops on the integration of Roma people. He also represented Hungary at the opening gala ceremony of the 2011 World Music Expo (WOMEX) in Copenhagen. Miklós Both is constantly looking for connections between different cultures via the language of music. He travelled to China, Russia, Iran and Ukraine looking for local contemporary folk music and recorded his album "Musical Odyssey Through China" in the months he spent in the Chinese mountains. He went searching for talented people living in poverty in the lagging parts of Hungary in the 2014 public service TV programme "Looking for talent with Miklós Both". Freddie (Габор Альфред Фехервари) родился в Дьёре 8го апреля 1990 года. Его интерес к музыке проявился довольно в раннем возрасте, он переводил стихи, писал поэму как на английском, так и на венгерском языке. Но до определенного времени самую важную роль в его жизни играл баскетбол, и только серьезная травма, приведшая к необходимости завершить спортивную карьеру привела Фредди в музыку - он начал искать в ней комфорт, и стал играть на гитаре. Он наиболее известен благодаря своему участию в венгерской версии популярного шоу талантов Rising Star (российский аналог - шоу Артист), где занял четвертое место в финале. Во время шоу Габор Альфред привлек внимание зрителей и жюри своим исполнением хитов James Arthur, John Newman, Bruno Mars, Kings of Leon и Ocho Macho. После шоу, 14го мая 2015 года он выпустил свой дебютный сингл "Mary Joe", который стал хитом на радио Petőfi, на долгое время закрепившись в национальном топ 30 чарте. Песня, первоначально, была написана представителем Венгрии на Евровидении 2014 Андрашем Каллаем-Сондерсом для себя, но когда он познакомился с неповторимым голосом Габора Альфреда, то предложил свою песню ему. "Rising Star стало замечательным стартом для меня, оно позволило мне выступить перед огромной аудиторией в зрительском зале и у экранов телевизора, а также оно принесло мне известность потому что во время шоу я получил предложение от Андраша, с которым я никогда не встречался раньше, записать его песню, и несмотря на то, что мы никогда не встречались и не обсуждали музыку, она идеально подошла мне". В ноябре певец перезапустил свою карьеру начав выступления под сценическим псевдонимом Freddie и после блюзового дебюта выпустил лирическую песню Neked nem kell. Недавно, Фредди стал обладателем премии InStyle Award в категории "Молодой Талант". После подготовки к конкурсу Евровидение 2016, Фредди планирует приступить к работе над своим первым альбомом. Он по-настоящему является пионером в своей жизни, поскольку его мечты реализуются при создании музыки. Даже несмотря на то, что он становится все более и более известным, он продолжает оставаться тем же скромным и застенчивым молодым человеком, которого только интересует пение от всего сердца длоя своих слушателей. И сейчас он постарается сделать то же и перед лицом всей Европы..."
Любимые жанры музыки Фредди - рок/инди/r&b, любимая песня Фредди Paolo Nutini - Iron sky, в число его любимых исполнителей входят такие артисты, как John Mayer, Dave Matthews Band, и Игорь Пресняков. Его любимые актеры - Jack Nicholson, Edward Norton, Leonardo DiCaprio, а любимый фильм - Great Gatsby. Его любимые цвета - серый и бежевый, любимая еда - стейк,а любимый напиток - ирландский виски. "Я хочу достигать людей, касаться их своими песнми, предоставлять им небольшое убежище. Я хотел бы, чтобы мои песни стали лечебным пластырем для психологических травм, я хочу, чтобы моя музыка была лекарством", говорит Фредди. Его конкурсную песню Pioneer написали Зе Сзабо и Борбала Чарнай, которая получила приз за лучший текст песни в рамках отборочного шоу A Dal 2016. "Моя песня - это ответ на все те внутренние переживания, с которыми нам приходится сталкиваться день за днем, и, на самом деле, все ответы лежат глубоко внутри нас самих. Настоящий пионер сталкиваясь с проблемами принимает на себя полную ответственность за свои решения. Мне очень нравится, как песня постепенно разворачивается и достигает масштабного пика, и затем приходит к интимному концу, который кажется подобным выдоху успокоения. Я не думаю, что есть шанс на то, что какие-то еще песни в этом году будут использовать свист. Я думаю, что наш может стать определенной фишкой, по крайней мере он уже стал таковым в моей стране, и я думаю, что это же может сработать и для международной аудитории. Я не могу и представить себе большей чести, чем представлять свою страну. У меня бегут мурашки по коже, в самом лучшем смысле этого, и я жду не дождусь момента выхода н сцену. Я - очень амбициозен и мотивирован, и стремлюсь учиться у других стран, для меня - это идеальная возможность для профессионального роста. Я с огромным нетерпением жду встречи со всеми вами!" Пятый год подряд Венгрия использовала национальный конкурс A DAL для выбора своего представителя на конкурсе Евровидение. Правила отбора были опубликованы 19го октября. A DAL 2016, а также все три шоу самого Евровидения выйдут в эфир телеканала Duna TV, ставшего главным национальным каналом общественного телевидения MTVA с 15 марта 2015 года, и спутниковом Duna World. Прием заявок осуществлялся до полуночи 25 ноября. Для того, чтобы определить какие песни примут участие в телевизионной стадии проекта, их отслушивало специальное отборочное жюри. Заявки в A DAL (музыка и тексты) не должны были быть коммерчески изданы или исполнены на публике, а также размещены на любой медиа платформе (ТВ, радио, онлайн) до 1 сентября 2015 года. Максимальная продолжительность песен - 3 минуты. Допускается подача заявок только артистами, которые ранее выпустили хотя бы один музыкальный альбом, или имели ротацию на национальном радио, или выступали по телевидению, и которые имеют действующие контракты с рекорд-лейблами и/или профессиональным менеджментом. Всем исполнителям, выступающим на сцене, должно быть по меньшей мере 16 лет на дату первого полуфинала Евровидения в Стокгольме, т.е. 10 мая 2016 года. Исполнители песен должны быть гражданами Венгрии или владеть венгерским языком на свободном уровне. Композиторы, являющиеся иностранными гражданами и не владеющие венгерским языком, могут принимать участие в конкурсе, только если их песня записана артистом, соответствующим правилам. В качестве интересного нововведения, правила говорят о том, что артисты, против которых заведено уголовное дело, или которые уже были осужден перед полуфиналами Евровидения в Стокгольме, или чье поведение неопровержимо вызвало общественный скандал, могут быть дисквалифицированы от участия в конкурсе на любой его стадии. Кандидаты признают и соглашаются с тем, что венгерский национальный отбор A DAL является конкурсом между песнями, а не исполнителями. Таким образом, DUNA имеет право определить исполнителя для любой песни, если это потребуется. Предпочтительно, чтобы песни, подаваемые на участие в A DAL 2016 были написаны на венгерском языке. Однако, артисты могут заявить песни на английском языке, или на языках официально признанных этнических меньшинств, проживающих в Венгрии, но при этом они должны предоставить перевод текста песни на венгерский язык. Вопрос о том, на каком языке песня-победитель будет исполняться на Евровидении 2016 в Стокгольме определяется телеканалом DUNA. Артисты, вышедшие в телевизионную стадию национального отбора обязались также записать акустическую версию своей песни, в студии предоставленной вещателем, и принять участие в сопутствующем онлайн Акустическом конкурсе. Как в прошлые годы, онлайн аудитория в двух-раундовом голосовании определяла лучшую акустическую версию. Акустические версии были представлены в форме видео и аудио записей, сделанных в студии Радио 8. Аудиоверсии прозвучали также по радиостанции Petőfi Rádió, а видео были размещены на официальном сайте A Dal 2016. Голосование за акустические версии проходило на неделе после телевыступлений: первая неделя: 23-29 января, вторая неделя: 30 января - 5 февраля, третья неделя: 6-12 февраля. Допускался 1 голос с одного IP в сутки. Шесть лучших песен из каждого раунда вышли в финал. Финальное голосование за 18 песен прошло с 13 по 21 февраля. Победитель получал право на проведение 52-минутного сольного акустического концерта на Petőfi Rádió. Голосование на Акустическом конкурсе было доступно здесь. Победитель A DAL 2016, ставший представителем Венгрии на Евровидении и его команда обязуются уделить максимальное внимание на подготовку к конкурсу в период между национальным финалом и финалом международного Евровидения 2016, и приложить все свои усилия для достижения наивысшего возможного результата, включая соответствие всем крайним срокам, установленным DUNA и ЕВС и обязательное участие в промоционных мероприятиях, связанных с Евровидением. Помимо того, победитель A DAL 2016 соглашается выступить без оплаты на не более чем пяти мероприятиях организуемых или продвигаемых MTVA до конца 2016 года. Всего на участие в отборе в этом году были заявлены 372 песни. Жюри из 10 человек сократило их список до 30 участников телевизионного отбора. Участвующие песни и детали предстоящего отбора были представлены 15го декабря на пресс-конференции в Центре культуры A38 в Будапеште. Полные версии песен были представлены 5го января на сайте A DAL, а некоторые песни также можно найти на Youtube. A DAL 2016 состояло из нескольких шоу выходящих в прямом эфире из Студии 1 в Будапеште, ведущими которых стали Чилла Татар и Левенте Харшаньи, в 21.30 Москвы по субботам. Ознакомительное шоу A DAL вышло в эфир 30го декабря в программе "Én vagyok itt", которую можно увидеть здесь. András Kállay-Saunders представлял Венгрию на Евровидении 2014. Ряд артистов принимали участие в отборах A DAL прошлых лет: Szilvia Agárdi (2013), Bálint Gájer (2014-15), Laci Gáspár (2013), Group'n'Swing (2014), Ív (2015), Karmapolis (2015) и Böbe Szécsi (2014-15), Fatima Mohamed (2013), Nika (2012), Odett (2013), Gergő	Oláh (2015), Passed (2015), Pély Barna (B the First) (2012-13), Reni Tolvai (2012). Песни некоторых композиторов уже принимали участие в Евровидении ранее: Viktor Rakonczai (1997, 2008, 2011), Szabolcs Harmath (2005), Zé Szabó (2009), Begi Lotfi (2012), András Kállay-Saunders (2014). 29го декабря было объявлено, что песня Misztrál - Reggeli Reggae (Miklós Heiczinger - Gergely András Nacsinák) была дисквалифицирована за нарушение даты выпуска, и была заменена на Viki Singh - Katonák. Три предварительных тура (или четвертьфинала) прошли 23го и 30го января и 6го февраля 2015, в каждом из них выступили по 10 песен. Те из них, которые вышли в следующий раунд были определны в два раунда голосования: в первом раунде лучшие 5 песен были определны суммированием голосования 4х членов жюри и общего балла из голосования зрителей в реальном времени посредством СМС на телефон +36(20,30,70)4422-999, онлайн и мобильного приложения (Android, iOS). Среди оставшихся 5 песен было проведено новое телеголосование, которое определило еще одного полуфиналиста. Полуфиналы состоялись 13го и 20го февраля, в каждом из них приняли участие по 9 песен-кандидатов. По 4 песни вышли в финал после 1го раунда голосования, и по 1 песне присоединялось к ним после 2го раунда. Финал был назначен на 27 февраля. В интервал актах шоу выступили: Viktor Király, Ocho Macho ft. Deniz, ByeAlex в четвертьфиналах, Második Műszak ft. Misi Mező, Zséda и Ferenc Demjén в полуфиналах, норвежский победитель Евровидения 2009 Александр Рыбак и представительница Венгрии прошлого года Богги в финале. За первым шоу A Dal 2016 следило рекордное количество в 71 тысячу посетителей официального сайта A Dal, где зрители могли бесплатно проголосовать за своих фаворитов, и получить доступ к экслюзивному контенту. Первое шоу A Dal 2016 также стало наиболее просматриваемой телепрограммой в своем временном сегменте с 757 тысячами зрителей (данные агентства Nielsen). По понедельникам с 10:30 местного времени артисты предыдущего тура принимали участие в онлайн чате "Star Chat" на Facebook странице MR2 – Petőfi Rádió. Зрители и поклонники могли задавать вопросы артистам в комментариях на Facebook. Помимо билета в Стокгольм и приза победителю акустического конкурса, в этом году были вручены еще две награды - за Лучший Текст, который определяли зрители и жюри, и премия Прорыв года, которую вручило жюри. Оценивал участников новый состав жюри, в котором из прошлогоднего состава остался только Pierrot, при этом, как обычно, пятым членом жюри стали зрители, которые помимо обычных СМС и бесплатного голосования через мобильного приложения могли проголосовать и онлайн на сайте конкурса. Голосование за "Лучший текст" продлилось с 19 января по 15 февраля. Голоса, поданные онлайн на вебсайте A Dal были совмещены с голосами профессионального жюри. Допускался 1 голос в день с 1 IP. Petruska был объявлен обладателем премии "Лучший новичок" во время 1го полуфинала шоу, а Borbála Csamai получила приз за лучший текст песни Pioneer Freddie во время 2го полуфинала конкурса. Лучшей акустической версией стала Free to Fly (ByTheWay), а лучшим ремиксом (определенным голосованием жюри радиостанции MR2 Petőfi radio): Seven Seas (Victor Strada Remix). - Zséda - Многократная обладательница премий Fonogram и Emerton, певица, начавшая свою карьеру в качестве актрисы, имеющая образование в области социальной педагогики, играет на скрипке.